Do you know what type of wiring is in the home? Want to know if all the outlets are working properly? Curious to know if the property is up to code and safe for occupancy? Whether you are looking to buy a new home, analyze the electrical status of your current home, or see what—if any—issues a bank-owned home might have, it's essential to schedule a home electrical inspection with a certified electrician. Do I need an electrical inspection? According to data from the National Fire Protection Association, about 50,000 home fires occur annually due to electrical issues. Aside from this, any damaged or exposed wiring can lead to electrocution or, in more dire circumstances, even death. 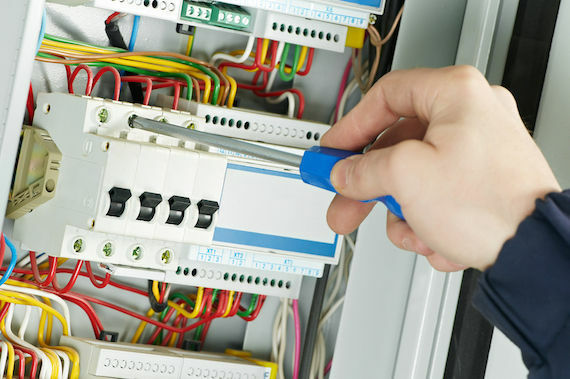 Furthermore, inadequate home wiring can lead to costly appliance damage or destruction - something that can be detected, repaired or replaced following the results of an electrical inspection. There are several things that an electrician will analyze and determine when conducting a home electrical inspection, many of which may cause a consumer to reconsider their offer on a home if the repair is too extreme. * What type of wiring the home has. * If the outlets in your home need to be replaced. * Ensuring proper installation and operation of GFCI (ground fault circuit interrupters) in bathrooms, kitchens and other areas. GFCIs help prevent electrocution, burns, and shocks. * Analysis of the electrical panel to ensure it’s in good working order. * Ensuring electrical work is up to local code. * Detection of faulty or damaged wiring that may present a safety risk. Electricity is not something that you want to mess with, both for your home and your family's sake. Contact First Class Electric today to schedule an appointment for a home electrical inspection. It is the smart thing to do before purchasing a new home or when you think your current home might pose electrical safety issues.